What To Do With Bayou Bienvenue? 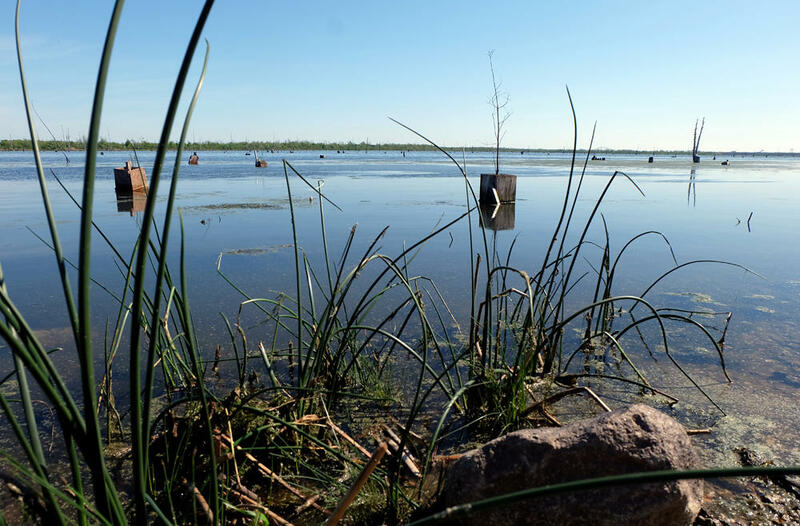 Destructive forces — from levee and canal construction to invasive species — turned the Bayou Bienvenue freshwater swamp into a saltwater marsh, leaving mostly just open water. The Bayou Bienvenue Wetland Triangle of today is what is called a “ghost swamp”. Until the 1960s, it was a full of cypress trees, part of the central wetlands system that ran from the Lower 9th Ward all the way to Lake Borgne. But destructive forces — from levee and canal construction to invasive species — turned this freshwater swamp into a saltwater marsh, killing all the cypress trees in the process. You see their dead trunks like scarecrows in the water, and don’t see much else. When the Wetland Triangle was a swamp it provided the surrounding community with natural resources like fish, game and timber, and protected the area from storm damage and coastal erosion. Most of the wildlife that inhabited the swamp is gone, as is the native vegetation that safeguarded the land. Now, the Bayou Bienvenue Triangle has been included in the “Master Plan” to restore the Louisiana coast. Few dispute this as good news, but there are varying perspectives on how and why the landscape has changed, and differing opinions on how it should be restored. What happened here? What restoration strategy now makes the most sense for this specific area? Should restoring this small section be prioritized compared to other, larger parts of the central wetlands? Five people walked out to the Bayou Bienvenue platform, a wooden walkway at Florida and Caffin Avenues, to overlook the land as it is now and consider these questions. Amanda Moore, Deputy Director of the National Wildlife Federation's Mississippi Delta Restoration Program. 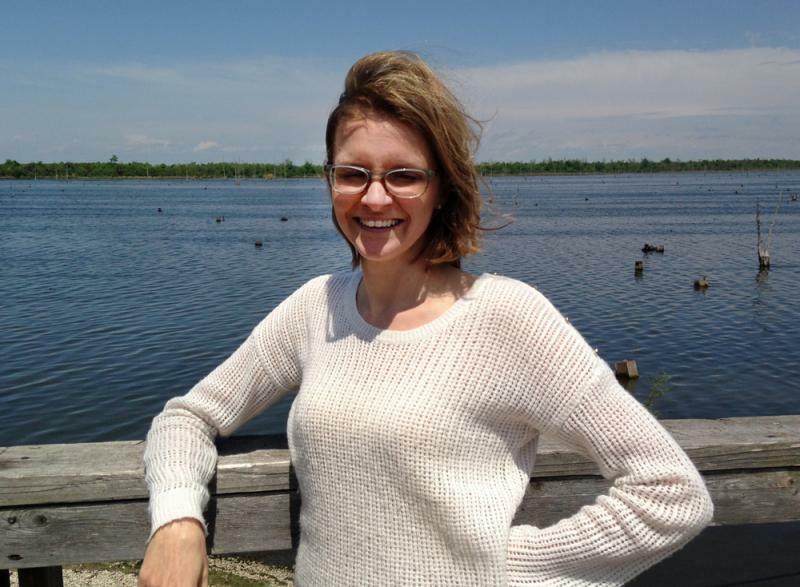 Amanda Moore works for the National Wildlife Federation as Deputy Director of the Mississippi Delta Restoration Program. She helps educate and engage community members as large-scale coastal restoration projects move forward. Moore grew up along the Chesapeake Bay, and feels connected to the livelihoods and culture of this type of landscape. “I feel at home here when I’m talking to folks that work out on the water, and I feel really passionate about what we are doing in coastal Louisiana,” Moore says. “It’s really at the forefront for coastal restoration, and its something that communities across the world are going to be facing.” Moore feels that Louisiana can be a global model for charting the path forward for how to have sustainable coastal communities. Greg Miller, head of the Plan Formulation Office at the Army Corps of Engineers' New Orleans office. Greg Miller agrees. He heads the Plan Formulation Office of the Army Corps of Engineers in New Orleans, and puts plans before Congress related to navigation, flood risk management, and ecosystem restoration. He’s involved in executing the restoration of Bayou Bienvenue from its current state of saltwater marsh back to freshwater cypress swamp. A lot of Miller’s work with the Corps is related to areas affected by the MRGO canal. It was a deep-draft navigation channel authorized by Congress in the 1950s, and completed in the 1960s. The intent was to expedite travel time for shipping cargo along the Mississippi River. With such a windy river, it cut time and costs to create a more direct channel between destinations. In doing so, however, saltwater from the Gulf of Mexico entered freshwater areas like Bayou Bienvenue. Now Miller and other Army Corps staff are working to amend the damage that the Corps’ MRGO project caused 50 years ago. After Hurricane Katrina, Congress instructed the Army Corps of Engineers to close the Mississippi River-Gulf Outlet. Now that it has been done, the next step is to begin dredging sediment from the river, and start the restoration process. “After Hurricane Katrina, Congress asked the Corps to prepare a plan to de-authorize it. And we've done the first steps of that. We've blocked off the channel in St. Bernard Parish near the community of Hopedale. Inbound and outbound ships no longer come up the channel. And it also prevents saltwater intrusion from the Gulf of Mexico coming directly up the channel.” Closing off the channel has already made salinity levels drop in the area, but that’s only the first step in the Corps’ restoration plan. The next step is to dredge material from the bottom of the Mississippi River and deposit it via a pipeline in this area, explains Miller. George Barisich, a third generation commercial fisherman from St. Bernard Parish. Others feel that biologists and ecologists are not the ones that know firsthand what’s best for the coast. 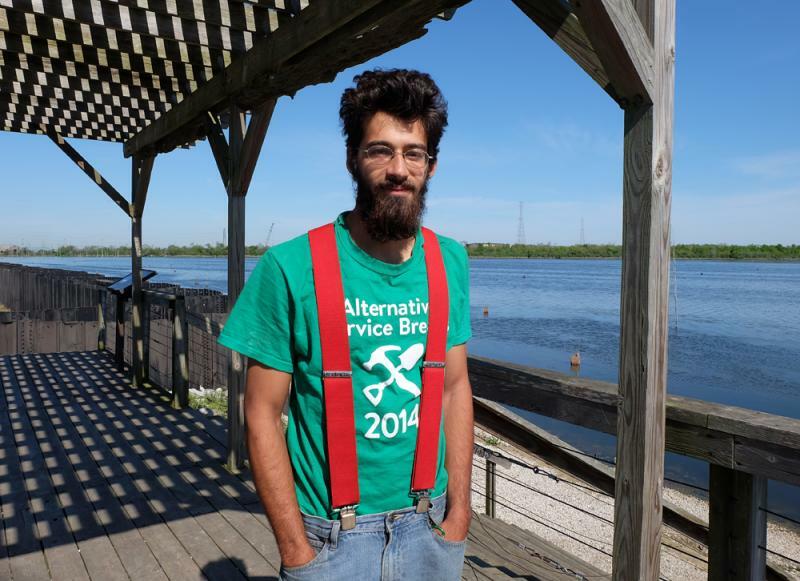 George Barisich is a third generation commercial fisherman from St. Bernard Parish. He was raised just a few miles from the Bayou Bienvenue Wetland Triangle and remembers crabbing, hunting ducks and alligators, and fishing as a kid. Barisich has doubts about the Army Corps’ restoration strategy. After years of sitting on coastal management panels, he’s heard scientists bounce off countless ideas about what’s best for the coast. Looking out at the open water, Barisich is not impressed by some small boxes that are sticking out, enclosing cypress saplings just starting to grow. He doesn’t feel the trees with thrive. Volunteers with an organization called Common Ground Relief installed the trees and boxes as part of their wetlands restoration program. Common Ground Wetlands Coordinator James Stram. 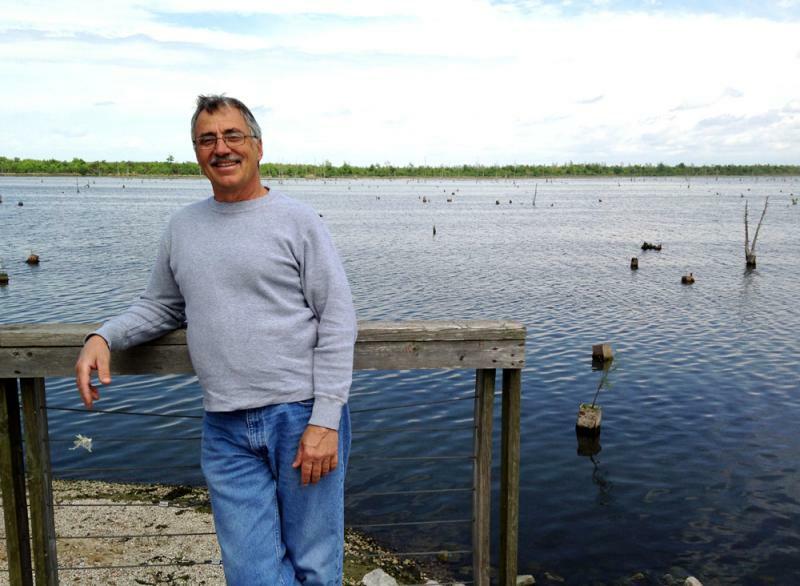 Common Ground Wetlands Coordinator James Stram says although the projects he manages are small, he doesn’t have to wait on the city or state for approval. Common Ground has been planting new freshwater grasses along the shore that were destroyed from wave action erosion, as well as the degradable wooden boxes put in place to protect the young cypress from the salinity levels. Stram doesn’t fully agree the Triangle should be restored exactly how it was years ago. “It’s too hard to try to restore it to exactly what it was then, and also that would be doing a disservice to what it is now,” he says. Stram envisions a canoe trail — an active water recreation space close to the city. Seeing the new plants thrive helps the general public gain more hope and trust that restoration is possible. But Bayou Bienvenue’s health is especially important for residents of the Lower 9th Ward, the people most connected to this specific piece of land. John Taylor, an outspoken resident highly involved in restoration efforts, and an educator and spokesperson for the Bienvenue Triangle. John Taylor is the Wetlands Specialist for the Lower 9th Ward Center for Sustainable Engagement and Development, and an outspoken resident highly involved in restoration efforts, working with Stram and Common Ground, as well as Amanda Moore with the National Wildlife Federation, as an educator and spokesperson for the Bienvenue Triangle. Taylor remembers exactly what it looked like prior to the mid-1960s. 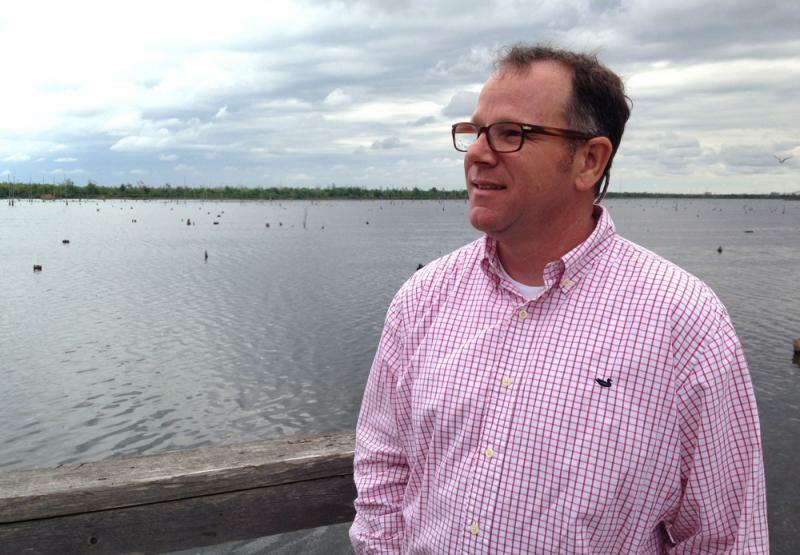 John Taylor, Wetlands Specialist for the Lower 9th Ward Center for Sustainable Engagement and Development and educator and spokesperson for the Bienvenue Triangle. 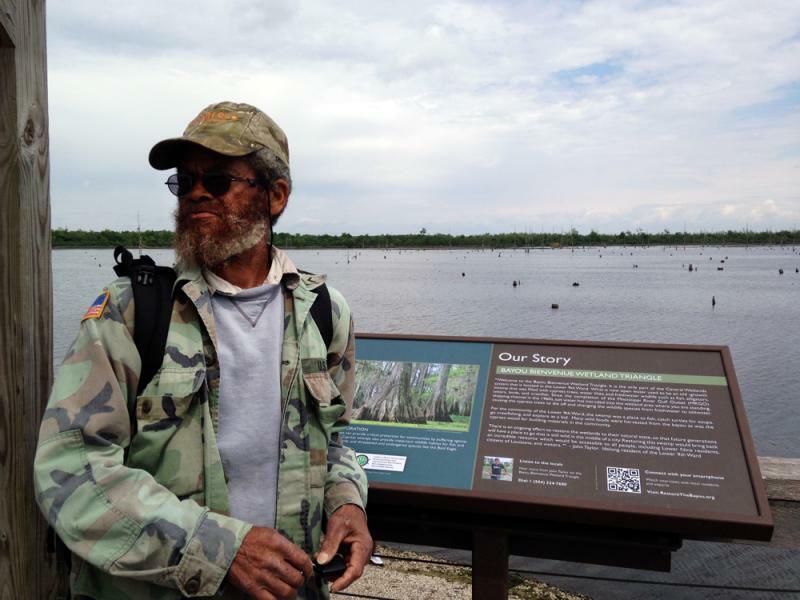 Taylor is overjoyed to see the new growth, and the renewed excitement in restoring the swamp. For years he felt like he was the only one who cared about the place, and he gave up the idea of it being included in any Master Plan. “I had accepted it the way it is. Then people come along and say, “Well, we're gonna try to restore this.” This has Taylor’s hopes up, but with such a slow process to get things going, he feels confused over whether anything will really be accomplished. Still, he can’t help but stay invested in continuing to draw attention to the land. The original version of this story omitted Mr. Taylor's job title. He is the Wetlands Specialist for the Lower 9th Ward Center for Sustainable Engagement and Development.  Support for coastal reporting on WWNO comes from the Walton Family Foundation, the Greater New Orleans Foundation, the Kabacoff Family Foundation, and the John S. and James L. Knight Foundation. The Bayou Bienvenue Wetland Triangle of today is what is called a “ghost swamp.” Until the 1960s, it was a full of cypress trees, part of the central wetlands system that ran from the Lower 9th Ward all the way to Lake Borgne. But destructive forces — from levee and canal construction to invasive species — turned this freshwater swamp into a saltwater marsh, killing all the cypress trees in the process. You see their dead trunks like scarecrows in the water, and don’t see much else.